Westlake Mayor Dennis Clough and FNB manager Johnny Sikora join several guests and bank employees to cut the ribbon on the newest branch. 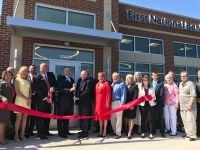 Aug. 1 was grand opening day for the new branch of First National Bank in Westlake at Crocker Park. The newly built structure faces Detroit Road and takes the place of the former Max & Erma's space. Branch manager Johnny Sikora, Westlake Mayor Dennis Clough and West Shore Chamber Director John Sobolewski helped cut the ribbon on the new office space, along with many guests from the community and Crocker Park. 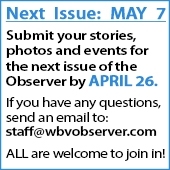 I am the Marketing Manager for the Power of More, a networking organization that combines six local chambers of commerce - West Shore, Fairview Park, North Olmsted, North Coast, North Ridgeville and Olmsted.